If you have a rat problem, you want results from your repellent. Fancy products are simply not important to you. You want confidence that the product you are buying will, in fact, keep rats out. Here are the top rat repellents everyone should be using. 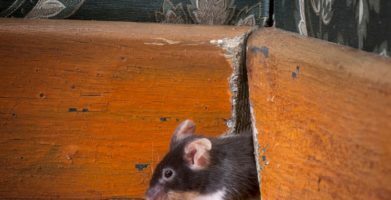 In theory, you can keep rats out of your home by completely blocking their entrance to the property, a process known as exclusion. Buildings can be rat-proofed if all holes larger than ½ inch are closed. The best method of filling gaps and holes is to place steel wool in the opening and then use silicone caulking to seal it up. 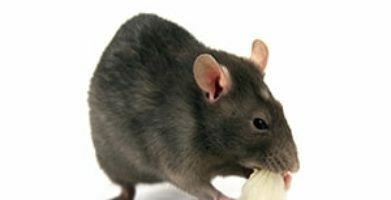 Spray foam is not recommended as rats and mice can chew through it much more easily. However, this is not always possible, especially in an older home or outdoor building. Rats can also get into the home through utility lines and plumbing if they are determined to do so. If you have a rodent infestation, you will need an proven repellent to deal with it. Ultrasonic devices to repel rats emit a high frequency sound that is thought to be annoying to rodents. If the rodent can hear the sound, it supposedly will nest elsewhere. You must use multiple devices as they do not transmit through walls into other rooms or around furniture. 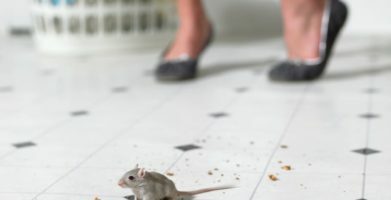 Ultrasonic repellents are beneficial because they require no poisons and do not put the user in contact with potentially dangerous rats and the many diseases rodents carry. Most people do not realize they are installed in the property and cannot hear the sound. The theory behind these devices makes sense. There are sounds that are deterrents to rats, keeping them out of a property without the need for traps or poison. Unfortunately, the actual performance of these repellants is spotty. Some people report excellent results, while others find they do nothing to keep rats at bay. This means there is no guarantee that the device will fix your infestation. Also, the sound the repellent emits is supposed to be inaudible to humans. However, some have reported that they hear a “humming” or “chirping” sound from the device. Animals may be bothered by it as well, making this repellent a problem in barns or around pets. Finally, this is not really a “green” repellent. While it doesn’t use poison or harmful chemicals, it requires electricity in some form to work and is typically made from plastic. Those searching for a green rat repellent may want to look elsewhere. Using these devices in vehicles or storage facilities is not always convenient. 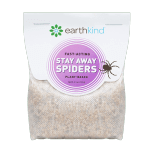 A botanical rodent repellent uses plant-based materials that are offensive to rats to keep them from entering the property. 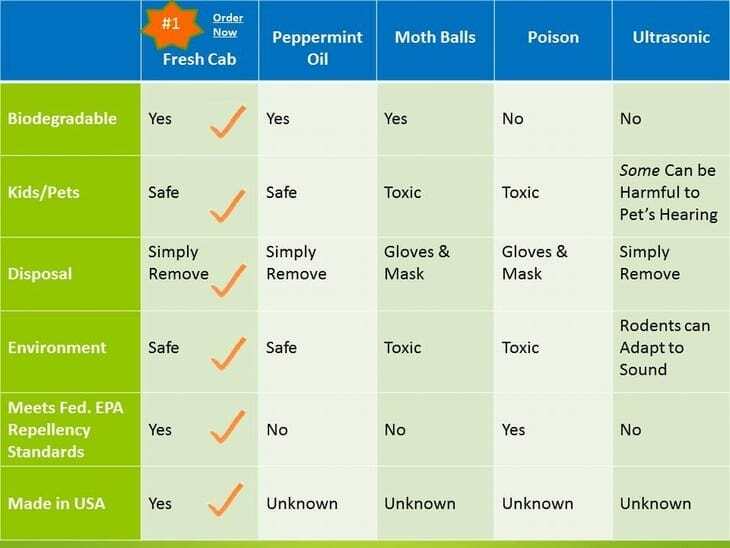 The smell of the plants and essential oils is the deterrent, yet these products are generally considered safe for humans. Fresh Cab® Rodent Repellent represents the best of these botanical repellents. However, this is not always possible, especially in an older home or outdoor building. Rats can also get into the home through utility lines and plumbing if they are determined to do so. 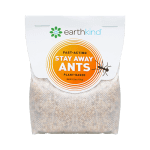 If you have a rodent infestation, you will need an proven repellent to deal with it. Also, the sound the repellent emits is supposed to be inaudible to humans. However, some have reported that they hear a "humming" or "chirping" sound from the device. 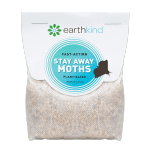 Animals may be bothered by it as well, making this repellent a problem in barns or around pets. Finally, this is not really a "green" repellent. While it doesn't use poison or harmful chemicals, it requires electricity in some form to work and is typically made from plastic. Those searching for a green rat repellent may want to look elsewhere. Using these devices in vehicles or storage facilities is not always convenient. string(59) "What's the Best Rat Repellent? See the Top Methods Compared"